Royal Dutch Shell’s crusade to extract oil from the Arctic is not going well, to say the least. In December, the company’s drilling rig ran aground on an island off the south coast of Alaska. And that was only one of many setbacks Shell has experienced, the Financial Times (subs required) reports. 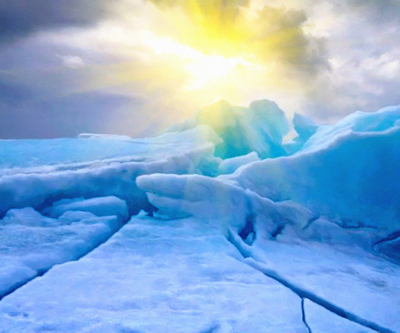 Now the US interior department has launched a review of Shell’s whole Arctic programme. At least the oil giant has already started drilling, but the same cannot be said for oil companies with licences in other parts of the Arctic, such as Canada’s Beaufort Sea. There, despite spending billions of dollars on deep-water licences, not a single operator has so far obtained permission to drill. The reason, according to FT’s sources, is the harsh rules imposed by Canada’s federal regulator, the National Energy Board. The body is currently conducting a major review of Arctic offshore drilling, which was expanded in the wake of BP’s 2010 Deepwater Horizon disaster and led to an interruption of new approvals. Miners, on the other hand, are doing far better. China-backed metals producer MMG Ltd. might be the new kid on the Canadian Arctic block, but in September last year announced it planned to build two mines in Nunavut by 2018. Its Izok Corridor Project is expected to produce an annual 180,000 tonnes of zinc in concentrate and 50,000 tonnes of copper in concentrate. The grades detected in the area say it all: 12% zinc and 2.5% copper at Izok Lake, with similar grades at High Lake. By comparison major miners such as Chile’s Codelco, the world's largest copper producer, are embarking on projects with grades below 1% in some cases. And last month, Canada approved the construction of a huge open-pit iron ore mine above the Arctic Circle in the country's northernmost territory of Nunavut. The Mary River project on Baffin Island is believed to harbour one of the world's richest undeveloped iron ore deposits. The mine is under development by ArcelorMittal (NYSE:MT) subsidiary Baffinland Iron Mines Corp, and is expected to produce over 18 million tonnes of iron ore per year throughout a 21-year mine life. ArcelorMittal, the world's largest steelmaker, obtained control of the project following an intense bidding war in 2011 as part of an effort to reduce its dependence on the global iron ore oligopoly of BHP Billiton (NYSE:BHP), Rio Tinto (NYSE:RIO) and Vale (NYSE:VALE). The company currently owns a 70% stake in Baffinland Iron Mines Corp. with Iron Ore Holdings LP holding the remaining stake. The Arctic holds over a fifth of the world’s untapped, recoverable oil and gas resources, according to the US Geological Survey. But an adverse climate and dense sea ice have long placed it out of the oil majors’ reach. According to London-based think-tank, Lloyd’s/Chatham House, the melting ice cap could help solve the problem, al least for miners, as it could open up access to immense mineral reserves, attracting over $100 billion in investments over the next decade. It does, however, acknowledge the potential environmental damages from oil drilling in the far north. “Cleaning up any oil spill in the Arctic, particularly in ice-covered areas, would present multiple obstacles, which together constitute a unique and hard-to-manage risk,” says the group’s Risk Insight report. The reduction in Arctic sea ice hasn't only opened up new shipping routes that significantly cut transport times and distances between Europe and Asia, it has also made the region's estimated rich deposits of oil, gas and minerals more accessible.